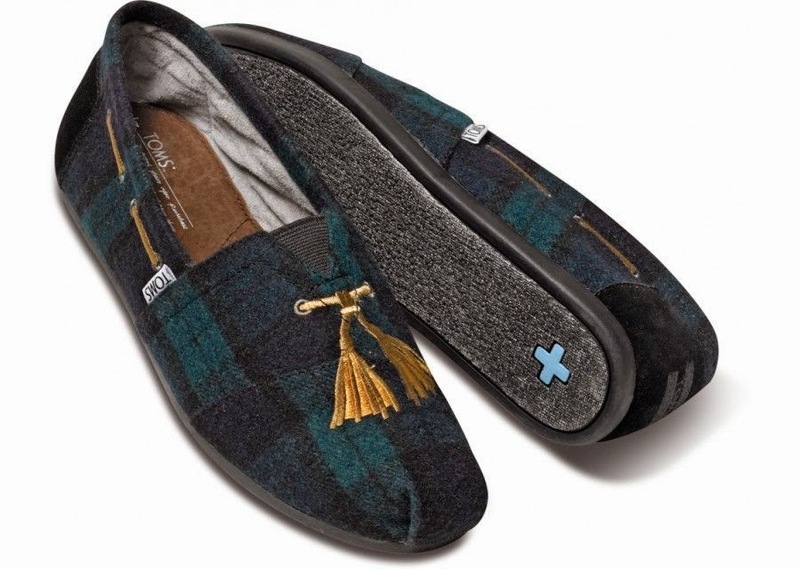 How cute are these green plaid with faux gold tassels? 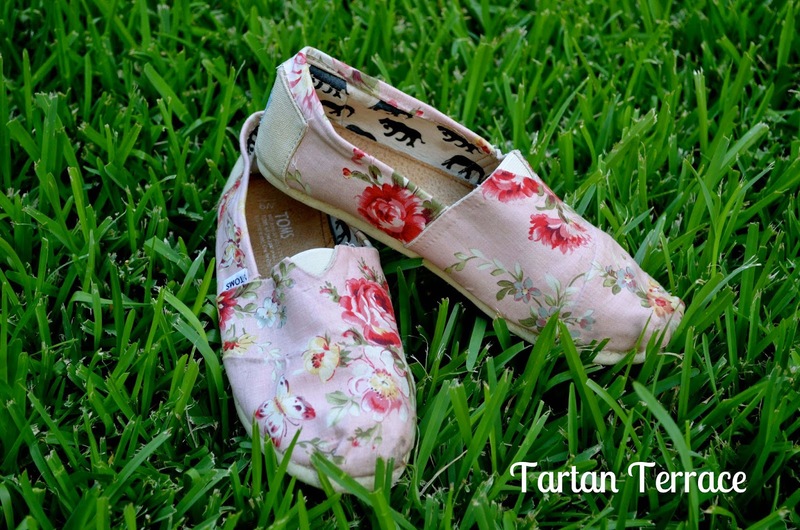 I wrote a post entitled Toms, Part 2 (here) about a pair of shabby chic Toms that Rachel Ashwell designed. I was distraught because the shoes had sold out and I couldn't find a pair except on eBay, where the seller was price gouging! Today I was at Hobby Lobby when I stumbled across this pair of Toms knock-offs. For $9.99 you can buy and decorate them yourself. Not a bad idea! We have the baby....now we need the Baby Toms! Kathy, congratulations! 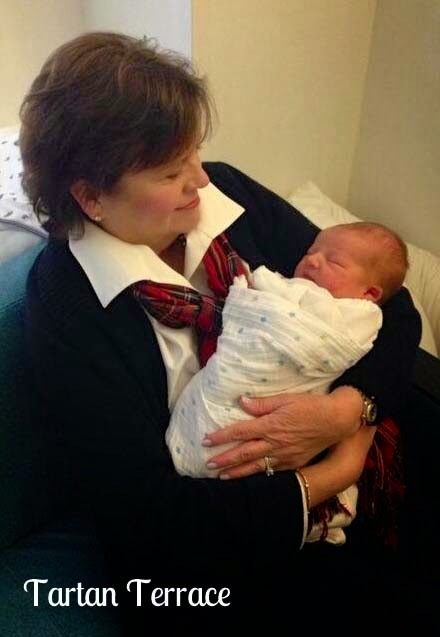 What an adorable announcement to introduce this precious new love. The baby Tom's are definitely in order for this little one. Thank you, Sarah! Yes, he's a precious gift from God and we love him. Plus, it's so much fun to look for baby-related items. A whole new world of shopping opportunities has opened up for me! What a gorgeous baby! Blessings to you and your family! 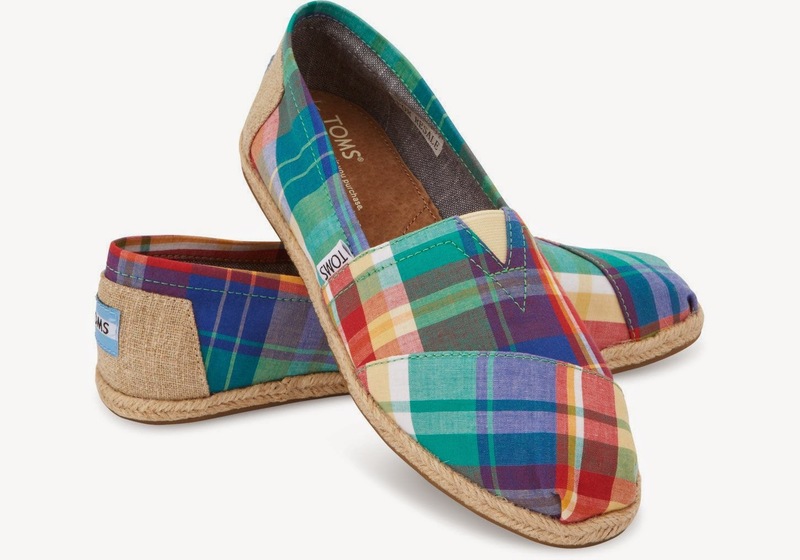 Love the plaid shoes. Oh that baby will be a tartan clad cutie patootie --- I can just see it now. Those baby Toms will really look smart with his cardigans and bow ties. I like the tasseled Toms as well as the Laura Ashley lookalikes. Btw, did you know (tragically) that she fell down the stairs back in the late '80s? Just sayin'. Yes, I heard about Laura Ashley's tumble down the stairs. A certain person who will remain nameless and who never liked the L.A. dresses I used to wear, told me that she (L.A.) was wearing one of her long dresses and tripped on it while going down the stairs. Who knows? That's probably what happened! Yes, I think it's true. The PR on that one must be what also finished off the brand. Also, your hair looks really cute in that photo. Can I borrow some of your followers for my blog? Just checking in on you. Hope all is well. I just posted on my grown up baby boy's plaid bedroom makeover and thought of you when I did it. I like the shoe colors.